Enjoy a relaxing and scenic cruise experience aboard a high-speed Clipper Vacations catamaran between Seattle and Victoria. 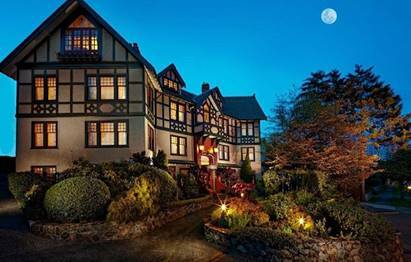 Once in Victoria, enjoy a unique experience at Abigail’s Hotel, a charming property that blurs the lines between a small luxury hotel and a heritage bed-and-breakfast Inn. Its special atmosphere blends the romance and charm of the past with the comfort and convenience of modern accommodation. Your two night stay in a superior room includes a three course breakfast, evening appetizers, and free Wi-Fi. Abigail’s is quietly situated on the edge of the bustling downtown core and is three short blocks from Victoria’s Inner Harbour, within walking distance of all the major downtown attractions and restaurants.